What is ASTM A178 Welded Tubes? 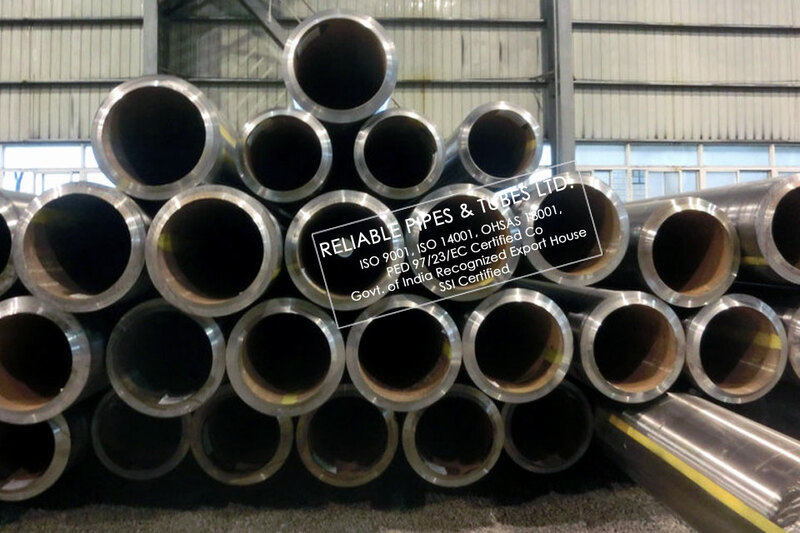 Reliable Pipes & Tubes Ltd is Manufacturer of ASTM A178 Boiler Pipes in India, we are producing ASTM A178 Boiler Tubes & ASME SA 178 Boiler Pipes since 1999. 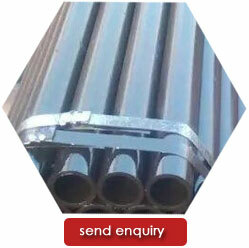 We are an ISO 9001 : 2008, 18001:2007, 14001:2004 & PED approved Exporter of ASME SA 178 Boiler Tubes in India. We maintain over 800 ton ASTM A178 Boiler Piping in various shape, sizes & coating which makes us one of the largest stockist of ASTM A178 Boiler Tubing in India.In 1985 Reliable Pipes & Tubes Ltd was incorporated as a trader of ASME SA 178 Boiler Piping & in 1990 Reliable Pipes & Tubes Ltd became Govt recognised exporter & stocking Distributor of ASME SA 178 Boiler Tubing & ASTM A178 Steam Boiler Piping, later in year 1994 we were recognised as PED approved Distributor of A178 ERW STEEL PIPE in India. ASTM A178 Standard specification covers standards for electric-resistance-welded tubes with minimum-wall-thickness made of carbon steel and carbon-manganese steel to be used in boiler tubes, boiler flues, superheater flues, and safe ends. The steel shall be of Grades A (low-carbon steel), C (medium-carbon steel), or D (carbon-manganese steel). 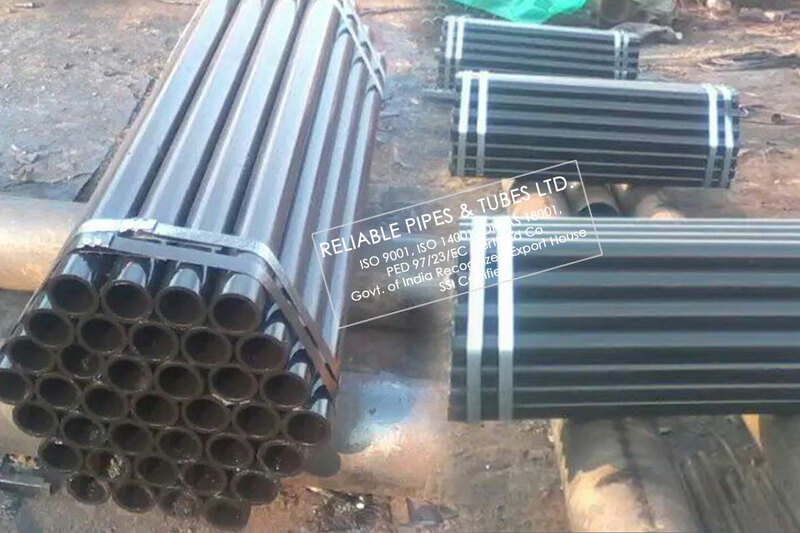 All tubes shall be submitted to heat treatment after welding, followed by cooling. The steel shall conform to stated compositions of carbon, manganese, phosphorus, sulphur, and silicon. Grades C and D shall conform to given tensile requirements, that is tensile strength, yield strength, and elongation. The material shall also be subjected to flattening, flange, tension, reverse flattening, and hydrostatic (or nondestructive electric) tests. Crush test shall also be performed if asked by the purchaser. Minimum elongation values are also given. This specification covers minimum-wall-thickness, electric-resistance-welded tubes made of carbon steel and carbon-manganese steel intended for use as boiler tubes, boiler flues, superheater flues, and safe ends. 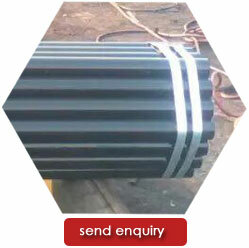 Type C and D tubes are not suitable for safe-ending for forge welding. ASME SA / ASTM A178 GRADE A, GRADE C, GRADE D BOILER PIPE AND TUBING DEALERS IN INDIA, ERW CARBON STEEL AND CARBON MANGANESE STEEL BOILER AND SUPER HEATER PIPES AND TUBES MANUFACTURER & SUPPLIERS. ASTM A178 Welded Tubes is used in the most critical engineering applications and also in certain applications in the automotive sector. In addition, some of the value-added Carbon Steel products include steel for LPG cylinders, API grade, corrosion resistant steel, critical structural application steel, boiler quality, auto grades, precision tubes and medium/high carbon grades, among others. 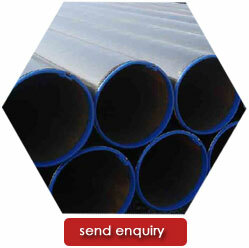 ASTM A178 Welded Tubes are loose or in bundles tightened with Iron Strips. Special packings: Metal or Wooden Cases, Pallets etc. We are approved vendor & supplier of ASTM A178 Welded Tubes in GASCO, KNPC, SAUDI ARAMCO, SABIC, ORPIC, NIORDC, PIDMCO etc. 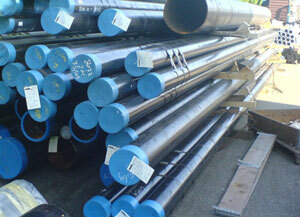 We are having our sub dealers of above brands with adequate stock ASTM A178 Welded Tubes, Tube & Tubular in Iran, Indonesia, Singapore, Malaysia, Iraq, UAE, Kuwait, Bahrain, Australia, Oman, Turkey, Mexico, India, United States, UK, China, Japan, South Korea, Germany, Canada, Nigeria, Thailand, Taiwan, Bangladesh, Venezuela, Saudi Arabia, Brazil, Netherlands, South Africa, Tanzania, Israel, Spain, Qatar, Norway, Croatia, Jordan, Poland, Egypt, Belgium, France, Italy, Vietnam, Philippines for quick delivery of ASTM A178 Boiler Tube with mill certificate & all required documents. Looking for Special Steel Grade ASTM A178 Welded Tubes Supplier? Reliable Pipes & Tubes Ltd. is Specialize in supply of ASTM A178 Welded Tubes or linepipe supplies that your company needs for use in the oil or gas industries. Our Specialization comes after supplying ASTM A178 Welded Tubes to 300+ companies from Oil & Gas Industry, Petrochemical, Offshore & Onshore Projects, Rigs, Chemical & Fertilizer companies in more than 40 countries since 1975.